Make your website more interesting and interactive to attract visitors. Any kind of business needs interaction with the client and customers, be it a physical store or an online store. That is why, every business website needs to be interactive with adequate technology and applications in place. WordPress with open source software provides amazingly interesting design features that incorporate tools to make the website interact with customers through comments, messages, and queries. TesolDesignz understands that default themes cannot represent your specific business. That is why, we provide customized wordpress development services including customized wordpress themes and plugins to match your business and marketing needs. 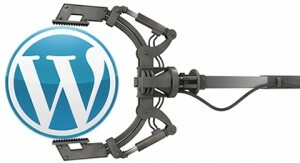 Would you like to consider WordPress for your website? Don’t delay now! Know how it can benefit your online presentation and growth from our WordPress experts. We welcome Hyderabad based businesses and those across the globe to make an enquiry. CALL us on 040-23300827 or send your query NOW!